A 30-year-old Indian man has ended up in the hospital minutes after he drank a cocktail laced with liquid nitrogen. The businessman whose identity was shielded from the media went to his friend’s bar yesterday where he drank a new cocktail on the menu. After taking a glass, he ordered for more. Within seconds of drinking the cocktail, his stomach started to swell. At a point when he started having breathing problem, his friends rushed him to the hospital where doctors found a hole in his stomach. To save him from the grip of death, doctors had to remove part of his stomach as the concentrated Nitrogen gas was trapped in his stomach. One of the surgeons who carried out the life-saving operation said the man has a high rate of survival. 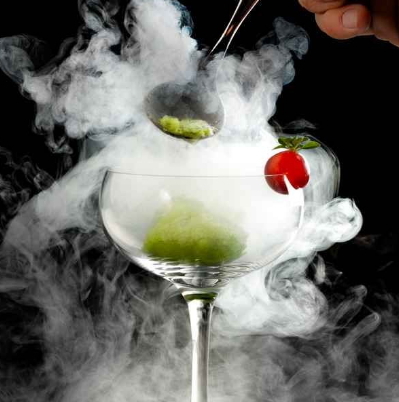 Many restaurants in India still use liquid nitrogen to give their cocktail a smokey effect.